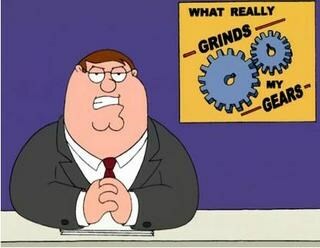 beiber fans who think beiber is better than a musician whose songs they have never heard. when modern young people recreate a trend with a new name and pretend they are original. example; "swag"
you know what really ruffles my jimmies?